We investigated whether applicants or recipients of research productivity fellowships of the main research financing agency in Brazil (CNPq) would consider the most “important products and indicators” of scientific/academic activity those also considered the least susceptible. We hypothesized that perception of susceptibility and importance of productivity indicators would vary according to the fellowship level of the grantees. Seven hundred and two scientists, being 79 non-grantees and 623 recipients of research productivity fellowships in the area of biosciences participated in the study. The scientists were requested to score the importance of a series of indicators (i.e., total number of published articles, number of articles as first author, number of articles as last/corresponding author, H-index, books and others, totalizing 39 variables) using a Likert scale. 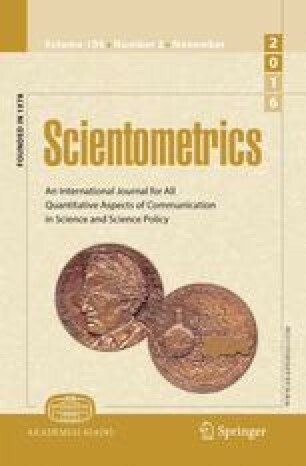 After completing the evaluation of the symbolic importance of all indicators, the scientists scored the “susceptibility” of the same indicators. The most important products and indicators of productivity were also those considered the least susceptible. Local, national and international prizes, publications or grants were increasingly perceived as more important and less susceptible. Moreover, the symbolic magnitude of susceptibility and importance of the elements (indicators) of the curriculum varied according to the productivity fellowship level of the grantee and gender. Despite the observed differences, a consensus of the most important and least susceptible products and indicators could be established. Ultimate individual responsibility and international projection are common characteristics of the most important and least susceptible indicators of scientific productivity. Special thanks are due to the CNPq for making possible and stimulating this study, which was supported by CNPq and CAPES. C.F. Mello is the recipient of a Research Productivity Fellowship of CNPq.